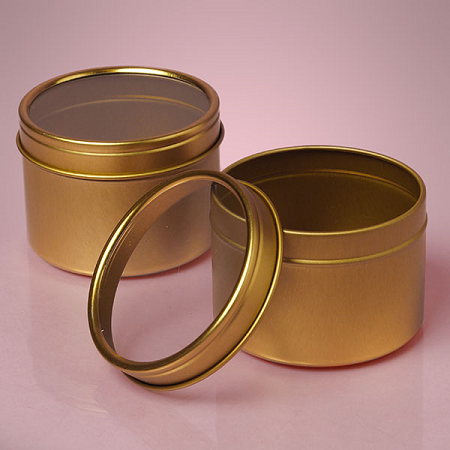 Large Gold Windowed Tins allow you to make gifts and favors that aren't hidden inside the tin. Show off your creativity through the window on the top. 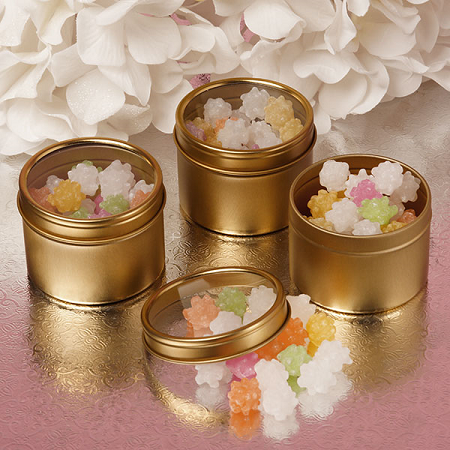 A great vessel to hold candy, jewelry, small gifts and such. 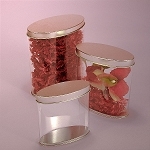 Show your appreciation for a job well done, give a birthday present or just show someone you are thinking of them. 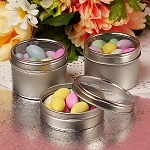 These round tins are such a good choice - like starting out with the best quality blank canvas to paint the perfect image. Order your round gold tins today!